Stages Campagnolo Super Record – when only the finest will do! The Stages Carbon Campagnolo Super Record Power Meter is now available and comes ride ready – with Campagnolo’s Ultra-Torque CULT ceramic non-drive bottom bracket bearing. The Stages Campy Super Record Power Meter features +/- 1.5% accuracy and 200 hours of battery life. Stages power meters run off the popular CR2032 battery and feature tool free battery replacement. In addition, it is extremely lightweight – adding only 20 grams to the weight of the crank arm. The power meter is compatible with both ANT+ and Bluetooth SMART devices, which means you can use your favorite bicycle computer as well as a smartphone or tablet. 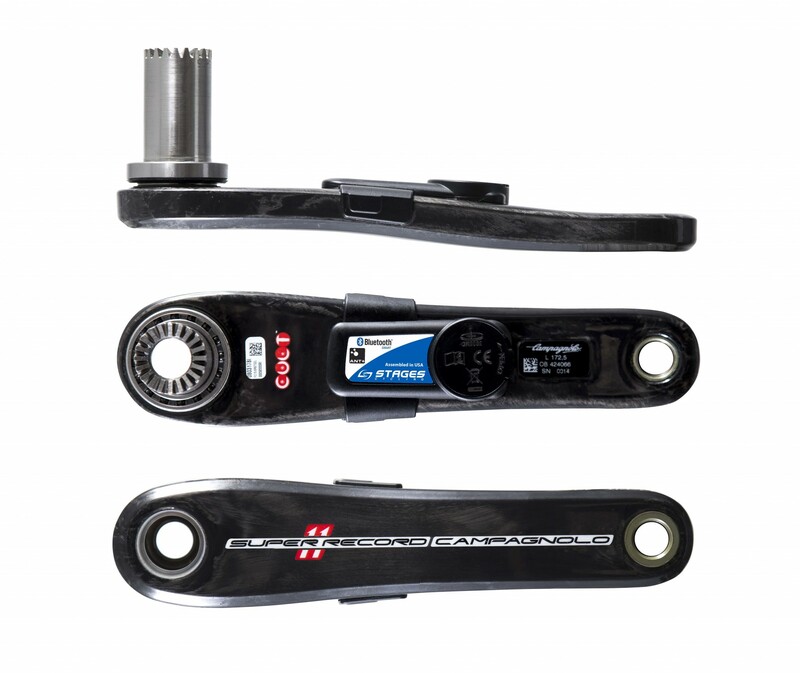 The Stages Carbon Campagnolo Super Record Power Meter is compatible with all existing Campy Super Record model cranks.